If you are searching for Replica Bar Stools then you must visit our online Australian based store. We have the largest range of replica bar stools, modern kitchen stools, outdoor stools and bench stools and they can all be viewed in our Brisbane Bar Stool Store. Our friendly team will be happy to show you our full collection of bar stools of which many are replica pieces from such famous designers as Hee Welling, Hans Wegner, Erik Buch, the Hay Group, Harry Bertoia, Xavier Pauchard and many others. 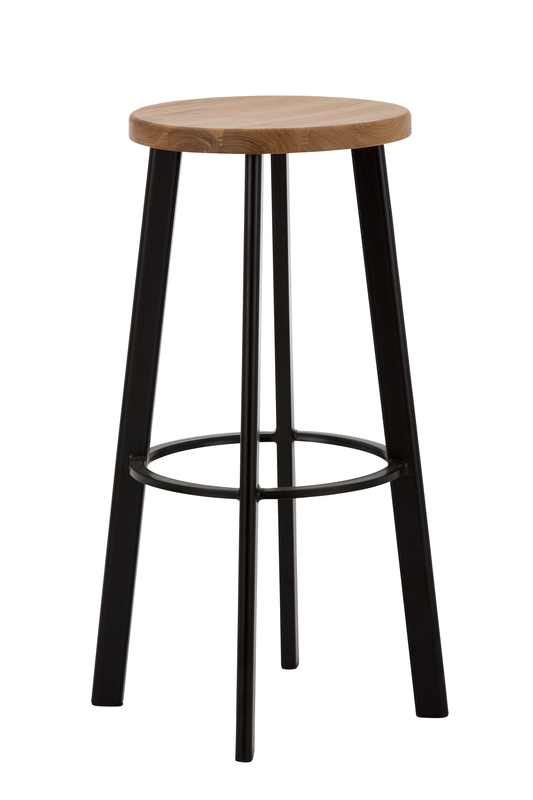 Our range of replica bar stools come in a huge variety of finishes and in varying heights. It is important you select the right seat height for your bench so that you can comfortably eat and drink. For a counter height bench, the standard height of the table is 90cm; so you will be seeking a kitchen bench stool around 65cm in height. Our range of replica kitchen stools are made from materials such as leather, plastic, timber, wood and aluminium. We also stock higher bar stools in a 75cm seat height, along with low stools with a seat height of 45cm. If you are seeking some replica bar stools for your cafe in Sydney, then we recommend you buy a metal stacking bar stool so that you can easily move the stools at the end of the day, and they will be durable enough to withstand commercial use. The range of metal stacking bar stools we stock includes replica Xavier Pauchard, Hee Welling and the replica Tolix range of bar stools. There are many restaurants in Melbourne that have purchased our range of replica stools, and they have found them to be durable and comfortable for extended periods of seating. A classic styled bar stool will enhance your commercial surroundings and ensure your customers are both comfortable and pleased with the decor. Throughout such eating hotspots as Fitzroy, St Kilda and the Melbourne CBD you will find our stools dotted amongst the finest eateries. You can view and buy bar stools direct from our Brisbane showroom, alternatively you can select your replica stools online and we will ship them direct to your door in Sydney or Melbourne within three business days.